If you are looking for electrical work, provided by a company that prides itself on efficient service with fair pricing, our electricians can help. Kronos Electrical has been working for since 2004 to provide the best electrical services in Riverdale and the surrounding area. From switching out light plates to rewiring commercial properties, no job is too big or too small. 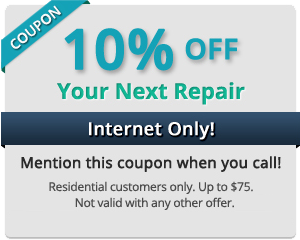 When it comes to electrical services in Riverdale, you deserve a company that is committed to your satisfaction. At Kronos Electrical, we guarantee every job we do and our licensed electricians are available 24 hours a day for emergency electrical services. No job is too large or too small for the expert electricians at Kronos Electrical. For a free estimate for your electrical work, call us today at 416.579.1707! Our certified electricians offer same day service for all your electrical needs. Our licensed electricians are knowledgeable and have a wide range of experience, they are also trained in all of the latest technology, equipment, and skills. We will work with you to ensure that the work we provide can fit your budget, and our 24 hour emergency service ensures that you can contact us when an emergency arises. This is just a small list of ways we can assist homeowners with their residential electrical needs. Our certified and insured electricians work with commercial building owners to provide them with efficient services, to make sure their business or property continues to function as needed. We offer same day service, including 24 hour emergency service, as we understand that you never know when an emergency may arise. If you have an electrical job that is not on this list, contact us today, this is just a small list of how our company can meet your commercial electrical needs. Why Choose Kronos as Your Electrical Contractor in Riverdale? If you are looking for electricians in Riverdale that are honest, and will get your work done on time, Kronos Electrical can help. We provide all of our customers with upfront, transparent pricing, charging by the job that will be performed, rather than the hours spent on a job. From our preventative maintenance plans to our 24 hour emergency electrical service, Kronos Electrical aims to provide the highest level of workmanship, alongside excellent customer service. Our family owned and operated business has been providing both homeowners and business customers with quality electrical services since 2004. If you are in need of an electrician in Riverdale that will respect your property and offer superior service, without the added surprises, contact us today at Kronos Electrical. We guarantee all work we perform and we are available 24 hours a day for emergency service. No job is too big or too small for our electrical contractors in Riverdale!